a creative exposure, and if so, could you please point me in the right direction. It would have been helpful to show the settings to the photo on the left,? I wnt larn ro photography,am interest black & white photography,so plzz hlp me. In your case the ‘Exposure Compensation’ feature would be great for you to use. Dial it to the negative for less light or positive for more. what is the camera, what is the lens its dont mean about photography… think if you have phone did you do your best with that?? think what you have and what you do with it, photography is art. go for it. do your own. learn as much you can. Hi Cyril, I think the scene on the left is shot in fully automatic mode, against the sun light. So, the exposure is automatically done based on the Sun (which is many times brighter than the other objects), thus the entire schen is over-lightened. In my opinion, the right direction would be switching to the Manual mode, setting the right ISO first, and then, finding manually the most appropriate A/S pair. Of cource NEF is compulsury, because it gives you more possibilities to adjust the under- or over- exposed shot into something good. P.S. : By the way, I have the same camera too.. Nikon d3100 which is really great for the money it costs. the exposure is definately a fast shutter speed with a low iso and an aperture of 100 as your camera allows. Thanx Alex for your reply great we are on the same wavelength regarding nikon D3100 camera,very pleased with it so far, I have a lot to learn. Thanks for sharing these great ideas about photography.This is really very informative and helpful for me. Thanks for the cheat sheet. Have been trying to put one together for myself to carry, you saved me so much work. Love this site. 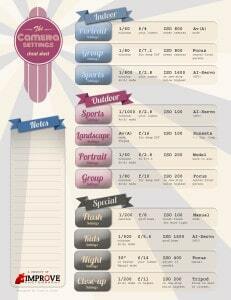 Your cheat sheet is INVALUABLE!!! It saves me a lot of time and simplifies the thought process about what settings to use, etc. I printed and laminated it. Thank you, thank you, thank you!!! I’ve been listening to your podcast in the car on the way to work and now I’m finally getting a chance to check out your web site. 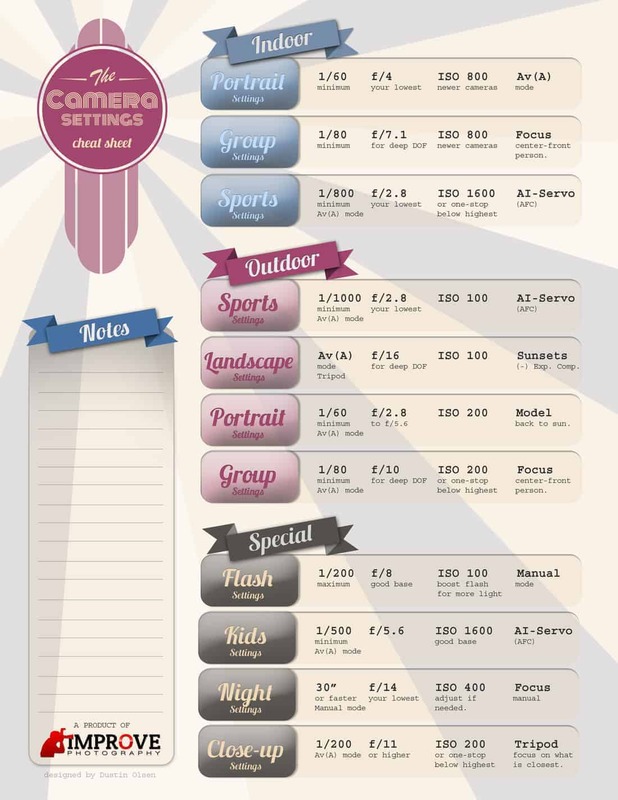 It’s all great information for all levels of photographers, thanks! JIm, I really enjoy your site and podcasts. Thank you for your devotion to the art. After over 45 years of being an avid photographer, this attached url of photos from Google’s robot camera has me very depressed. Note the excellent exposure, interesting subject matter, and composition of many of these “non-composed” photos. What hope do we mere mortals have against the machines like Big Blue, Watson and now Google the professional photographer? im so glad i found my way here. being an idiot to photography this site taught me a lot and now im starting to love shooting on manual settings as i’ve produced great photos from what i have learned from here. thank you very much for sharing your knowledge for free. Jim, can you email me please. We can offer each other business opportunities. Awesome development of thought. It must serve great purpose. I do highly recommend this tutorial for the ultimate improvement. Clipping Mask Asia can help you in this regard for further improvement of your photos in editing stage. Good tutorial.. i liked it very much and useful for beginners. I watched your flash photography video learning flash in 10 minutes. Nicely informative. So I bought what I thought I needed for my specific needs. I want to have two off camera flashes firing simultaneously, because I shoot my artwork for portfolio purposes and want to light up two sides (left and right). I have a new D3200 Nikon, I bought 2 of the Yongnuo YN560-111 flashes which is supposed to have a built in trigger. I also bought Yongnuo Transceiver YN-622N-TX. I thought they were comparable, but I can’t get them to work at all. I think I need a different transceiver, but don’t know which to buy or if I just don’t know what I am doing. If you can I would appreciate it. I listened to your podcast today and am left confused over the DOF issue. It has to do with your first comment that full frame cameras have more limited DOF than DX camera. I thought the opposite and checked DOFMaster online to confirm. I used the parameters of a D700, f16, 24mm and 10 feet from the subject. I then switched to the same parameters except changed the camera to a D7000. The DOF was significantly less. A better test was changing the distance from the subject to 4 feet. You are the second pro to tell me this so am I missing something?